According to a report, all organizations involved in the integration of health and social care services need to work well. A new publication from public spending watchdog Audit Scotland found that there is still a long way to get the potential for a "profound" shift in the way those services delivered. It has outlined a series of recommendations, across six areas, for the Scottish Government, Councils, NHS boards and Integration Authorities. Integration Authority (IAs), established following a 2014 Act, is responsible for joining services provided by the NHS, councils and others to shift care from hospitals in the community. The integration of health and social care services is a major program of reform, affecting approximately £ 9 billion of public money. The latest report from the auditor general and the accounts commission is the second. 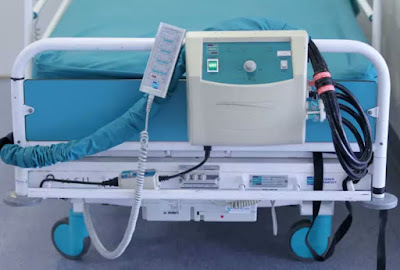 It found that IAs have started to introduce more collaborative ways of delivering services, including improvements including reducing unplanned hospital activity and delay in discharging people from hospital. People at the end of their lives are spending more time at home or in a homely setting, rather than in hospital, the report noted. However, it added that IAs are operating in an "extremely challenging environment" and "there is much more to be done". It found that "financial planning is not integrated, long term or focused on providing the best results for people who need support". It continued: "This is a fundamental issue which will limit the ability of IAs to improve the health and social care system." Auditors also called for improvements in strategic planning and said "many significant barriers must be overcome to speed up change". The report said: "These include a lack of collaborative leadership and strategic capacity; a high turnover in IA leadership teams; disagreement over governance arrangements; and an inability or unwillingness to securely share data with staff and the public. "Significant changes are needed in the way that health and care services deliver. "Change can not happen without meaningful engagement with staff, communities and politicians. At both a national and local level, all partners need to work together to be honest and open about the changes that are required to sustain health and care services in Scotland. " Commenting on the report, Auditor General Caroline Gardner said: "All partners, at a national and local level, need to work together to ensure the successful delivery of integrated health and social care services in Scotland. "This will allow people to get the care they need at the right time and in the right setting, with a focus on community-based, preventative care." Graham Sharp, chair of the Accounts Commission, said: "The potential for a profound and long-term shift in the way health and social care services is delivered, but there is still a long way to go. "A collective effort from the Scottish Government, Cosla, NHS boards, councils and the Integration Authority is needed for health and social integration to make a more meaningful difference to the people of Scotland." "We want to step up the pace and agree that our strong, shared leadership. We are committed to working together to deliver an integration success.